The Vertcoin community understands the importance of equality in the world and hopes to give back to those that are less fortunate. 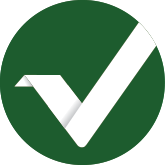 The Vertcoin community has selected the Water Project charity as a donation partner due to their transparency and good track record. The Water Project builds wells to help remote rural villages gain access to clean drinking water. United together, the Vertcoin community can make a difference. Please donate today!